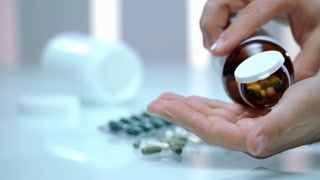 Hand opening pill bottle. White medicine container. Must use painkillers. 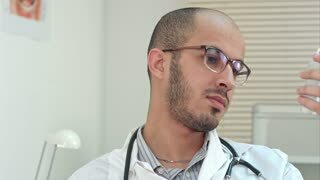 Doctor prescribed a drug. 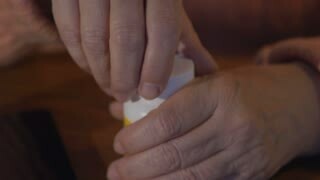 Woman's hands with pill bottle. Medicine container of white color. Health needs protection. Vitamins prescribed by doctor. 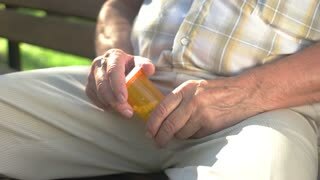 Elderly hands opening pill bottle. Orange medicine container. Drug against heartache. Follow the prescription of doctor. 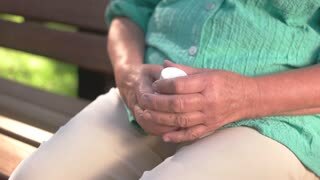 Elderly man's hand with pills. White bottle with medicine. Minerals for bone health. Few capsules per day.